Pune City suffered their worst defeat of the season against Goa in their penultimate round robin clash at the Shiv Chhatrapati Sports Complex in Pune. 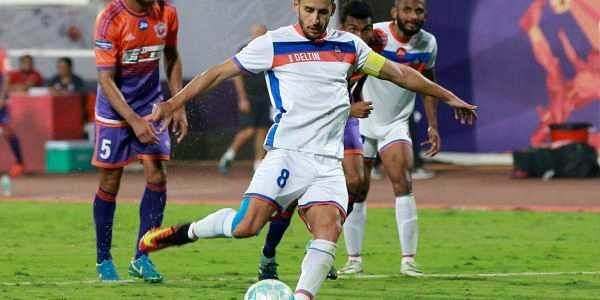 MUMBAI: Despite suffering a humiliating 4-0 rout at the hands of FC Goa in their match yesterday, FC Pune City have booked their place in the semi-finals of the Indian Super League (ISL) football for the first time ever, according to the league organisers. But their impressive performances earlier in the season means they don't have to wait for the final league clash against Delhi Dynamos on March 2 to secure a point for a place in the play-offs, an ISL release said today. They will finish in the top four, regardless of other results, and the achievement of breaking into the top four for the first time since the ISL was launched in 2014 was hailed by the club's chief coach Ranko Popovic. "As a club, this was our first hurdle to clear, to reach the playoffs. The entire team has worked consistently towards the same goal and this spot is a result of the hard work put in by everyone and anyone involved with the club. "But this isn't the end of our work, rather it's the beginning and we hope to take a step at a time to reach our ultimate goal," said Popovic. Pune City are placed second on the ISL points table with 29 points and even if they get stranded on 29 points at the end of the league stage, they will still finish among the top four. Pune City thus becomes the second team to qualify for the playoffs after Bengaluru FC. There is a possibility that four teams can finish their league engagements with 29 points; if Pune lose against Delhi; Chennai lose against Mumbai, Jamshedpur win against Goa and Mumbai register two consecutive victories in their last two matches. In the event of teams being tied on points, the head- to-head record between these teams will come into force. As things stand, Pune will win the head-to-head count among all these teams with 12 points  two wins each against Mumbai City and Jamshedpur FC  while Chennaiyin FC and Jamshedpur FC will also get the nod. Assuming FC Goa get the better of ATK and Jamshedpur FC in their last two matches, they will qualify with 30 points, possibly leaving three teams with 29 points. Even then, Pune will still go through. Pune will miss captain Marcelinho and Diego Carlos, both of whom are suspended, in their final league clash against Delhi at the week-end.